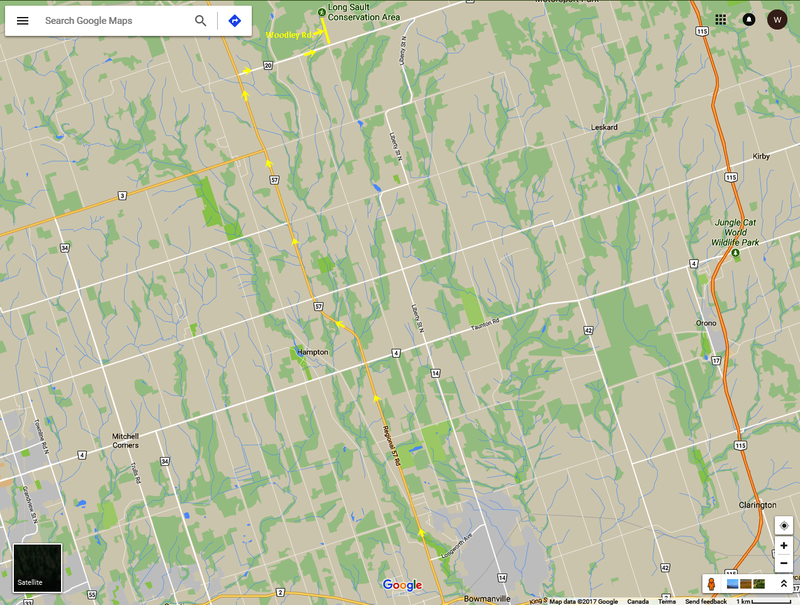 Long Sault doesn’t show on Google Maps as anything more than a name. There’s no corresponding green patch, which belies its size of 1,650 acres and 18 kms of trails. Then again, considering it’s CLOCA’s (Central Lake Ontario Conservation Authority) biggest property, they aren’t real generous with the signage to get you there either. 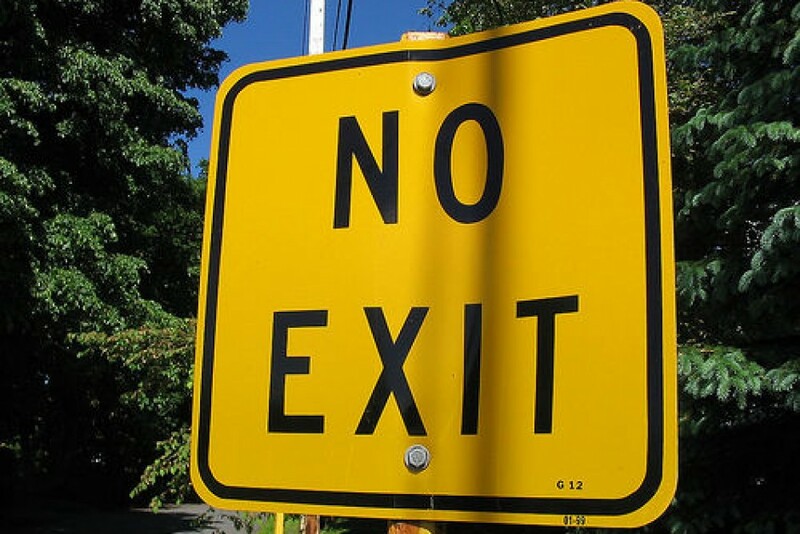 Take Regional Rd 57 North (for 15 kms) from Bowmanville and make a right turn onto Durham Regional Rd # 20. At 2.5 kms you’ll see Woodley rd. Turn left and drive to the parking lot. This one is a “pay and display” but it’s like, a minimum of two, to a maximum of five dollars (for all day) to park. 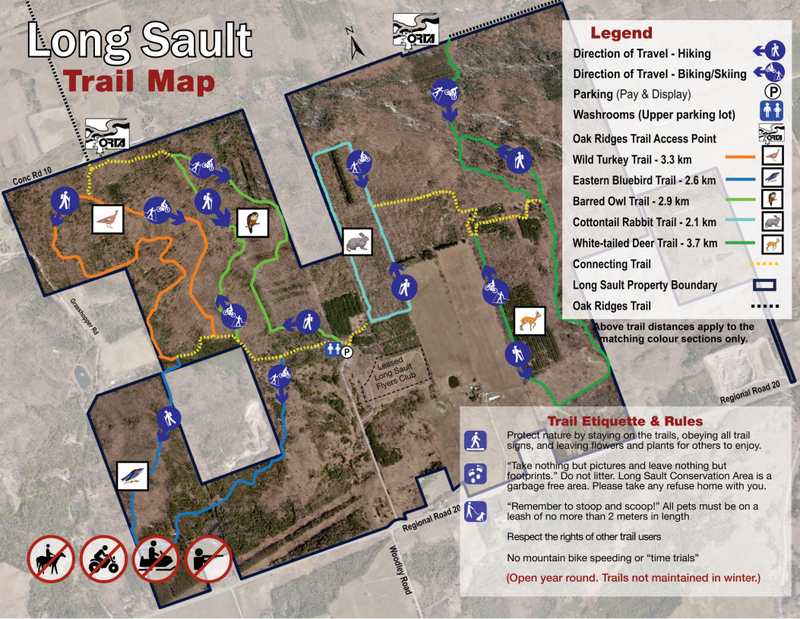 Long Sault has 5 trails and it took us a few days to walk them all. However, we tend to dawdle, take pictures, stand there and look around, pick berries, and stuff like that. CLOCA’s map is designed so that walkers are supposed to walk one way on the trails, while cyclists go the opposite way. I guess that’s so we’ll see each other before colliding. ‘Course, we didn’t know that before walking the 1st two trails, and so, went the wrong way on both. I’m not sure if everyone else was aware of the plan, but we met a few cyclists, oncoming, while we walked the trails backwards. Anyway, everyone was quite polite and friendly on the trails so it doesn’t really matter which way you go. However, after walking the three hilliest trails, we noticed the CLOCA map always seemed to favour the walker. The direction they recommend for walkers have you walking down the steeper slopes, and up the longer, but more gradual ones. Perhaps the cyclists noticed that too, and that’s why we met so many face-on as we walked the wrong way. This predominantly wooded trail is mostly regenerating fake forest (man planted rows of pines to control erosion in the 1940s). But it’s coming around rather well and you might not even notice. This kind of forest, while canopied, still allows a lot of light to filter down because of the common species, the type of species, their age, and uniform row plantings. I’d advise you to take the 2nd entrance from the parking lot Connecting Trail to this trail (right across from the Wild Turkey Trail). The considerable hills will be much easier dealt with from that direction. CLOCA terms this trail “advanced” which means hilly (so we learned). However, we took a rest break on one hill to indulge in a nice feed of blackberries growing right beside the trail. The trail surface was hard packed soil, and a few of the hills would be slippery walking under wet conditions. There was a bit of traffic noise at about the center of the trail, but it was negligible and faded away quickly. I’d advise you to take the 1st entrance from the parking lot Connecting Trail to start this loop (also classed “advanced”). Yeah I know, on paper, it looks like the best course is to take the 1st access to the Bluebird around to the 2nd access to the Turkey Trail combining them both into a single loop trail. Which is exactly what we did, which is why I’m suggesting you not do that. The hills won’t kill you, but it’s a lot more pleasant to climb up a gradual slope, than a steep one. Or, perhaps you like to get the tough stuff out of the way at the start. Whatever suits you. This trail is through a more natural forest. The trail surface is both sand and hard packed soil. So, like the Eastern Bluebird Trail, a few of the hills would be quite slippery under wet conditions. The hills on this trail are more formidable than those of the Bluebird Trail. On some stretches, it was obvious we were walking on the crest of an ancient esker. We could see the ground falling away on both sides of the trail. We walked this trail in mid August, and we came across a few plants and fungi neither of us were familiar with. This trail is directly North from the Bluebird Trail, and there’s pretty-much nothing North of here, so it was very quiet. The hills are somewhat less steep than The Wild Turkey Trail (also classed “advanced”), otherwise the trail is virtually identical. It runs less than a few hundred meters from the Turkey Trail for most of its length, so that’s to be expected. A pleasant “walk in the woods” in dappled sunlight. Both this and the Wild Turkey are well canopied, hence, a bit cooler than open canopied forests like the Bluebird Trail. This trail is just as hilly as all the others. However, the problem I have with Long Sault’s trails are not the hills, but the lack of alternate features. I didn’t realize how much water adds to a bushwalk. All of Long Sault’s trails are lovely walks in the woods. That’s a fact. However, when you’re a reviewer, and you return day after day to the same location to walk another trail, you need something to pique your interest. You need a change, or it gets to the point where you can’t tell the pictures of one trail from the other. This one did that. It’s not often I’ll give thanks for a Hydro tower corridor, but at least it was a change. The wide open sky, and sunshine on the Southernmost loop of this trail was much appreciated. But then, my favourite trail (or in this case, “part” of a trail) was The North loop of the White Tailed Deer Trail. OK, so there was a hill to climb to get to it, but the trail itself was fairly level. The Spring wildflower display would be lovely. Yes, we walked it in late August, but we could see the leaf evidence of hepatica, foamflower, wild ginger, partridge berry, bane berry, bloodroot, false solomon seal, and others that weren’t present on many of the other trails. It was very quiet and a lot of the trail was through a lowland “hollow” with a very clear understory. The silence, the view, the dappled light filtering through the canopy, all combined to make this my favorite stretch of trail here. Another thing I really enjoyed was when we approached one of the rare rest benches at the end of this trail. We figured a few moments breather and trail snack was in order. For whatever reason, I chose to look under the bench and spotted a fresh green and gold Monarch Chrysalis. Then we noticed the small patch of milkweed beside the bench, and found a few larvae yet to pupate. We finished our rest and our lunch, wished our lepidoptrian friends all the best, and carried on to the next trail. This one is called “The Beginners Trail” as it’s the most level of them all, and is the shortest. A pleasant enough walk in the woods. The word “Sault” must mean “hill” in some local native tongue. Just kiddin’. Though there are a lot of hills here … seriously. The trails are high and dry, mostly sand or compacted soil. Most trails are good for two to walk side-by-side. There are two picnic tables at the trailhead, and permanent washroom facilities as well. The parking is “pay and display” with a minimum of $2.00 for 2 hours, up to a maximum of $5.00 for all day. The trails are well marked and the trail maps, both at the trailhead AND on the I’Net are very accurate and up to date (speaking as a seasoned reviewer, that’s shocking). Thank you Sandra, and welcome to 2oldguyswalking. For a best experience, I would recommend any combination of the two trails (Barred Owl and Wild Turkey) in the North – West block. They are the quietest, and most remote overall. However, as mentioned in my review of Long Sault (a number of times) be prepared to walk some very impressive hills here.